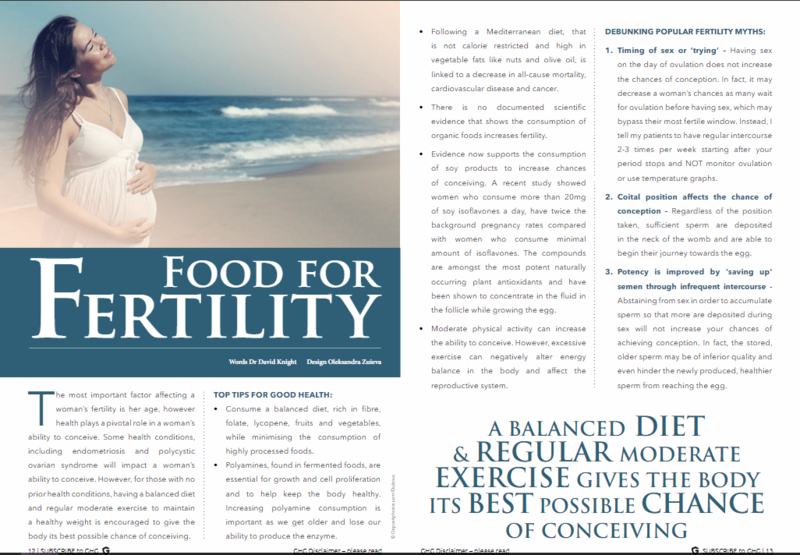 Dr David Knight shares some top tips for good health and explains how a balanced diet and regular moderate exercise gives the body its best possible chance of conceiving. 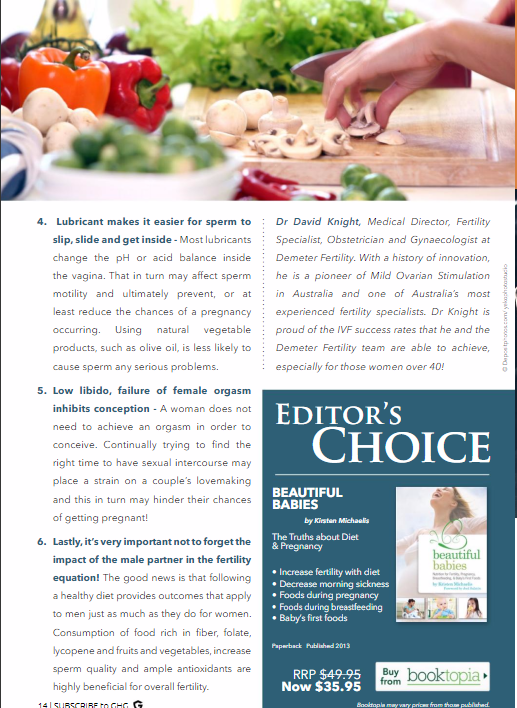 He also goes on to debunk popular fertility myths including myths about timing, position and libido. Keep reading this informative article in Great Health Guide below.